Yes, Salt Lake has great golf! Get out into the great outdoors to enjoy a golf adventure in Salt Lake. Golf courses across the Salt Lake Valley provide a wide variety for your day on the links. Courses range from hilly terrain and challenging greens to marshland layouts with well-groomed fairways and acres of wetlands with native grasses, and large lakes. Don&apos;t worry, no matter which course you choose, you&apos;ll be treated to great views as you get in a few rounds -- from sweeping valley panoramas to picturesque canyons. Check out the listings below this intro video on Golf in Salt Lake, for details on courses in the Salt Lake Valley. 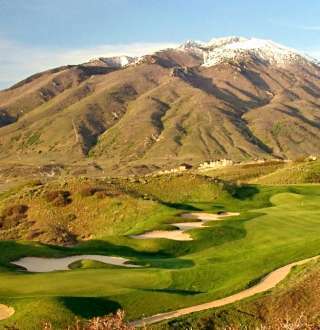 For complete information about golf across the state of Utah, please visit www.playutahgolf.com or www.uga.org.